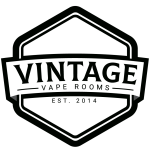 Black Ice by Charlie’s Chalk Dust White has been one of the most sought-after mentholated fruit flavoured e-juice in the entire vaping industry. This icy mashup of frozen blackberry and cool cucumber will have your vape taste buds begging for more! What makes Black Ice by Charlie’s Chalk Dust White so great? Nothing so dangerous in the heart of winter as the dreaded black ice…which is why Charlie’s Chalk Dust has risen to the challenge of creating such a flavour that strikes fear into the hearts of lesser menthol flavours. Introducing a dark and brooding frozen blackberry, menacing in flavour and swarthy in scent. A cool cucumber breeze drifts throughout the flavour, providing a much-needed rest in the whipping menthol clouds. 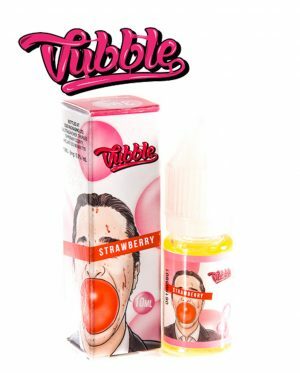 This flavour forces your vape taste buds into submission, thus keeping your eyes on the threatening yet oh so delicious clouds above. 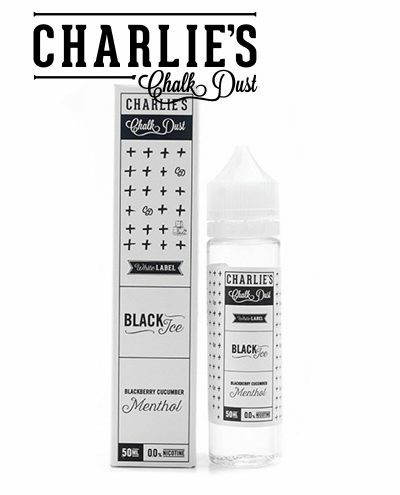 Charlie’s Chalk Dust really knows how to get your vape taste buds salivating, and Black Ice is no exception. 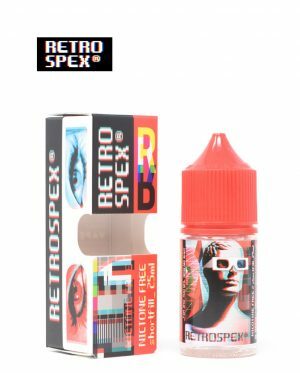 In a maddening fight for a place in your vape tank, Big Berry promises to fill the air with chilly and frozen fruit clouds that both delight the nostrils and your vape palette. 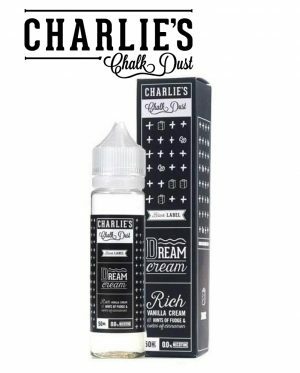 Charlie’s Chalk Dust White needs no introduction; for delicious yet foreboding sweet flavour that satisfies your insatiable fruit cloud cravings, snag a bottle today and keep your tank brimming with frozen, mutinous, and delicious clouds, compliments of Black Ice by Charlie’s Chalk Dust White!